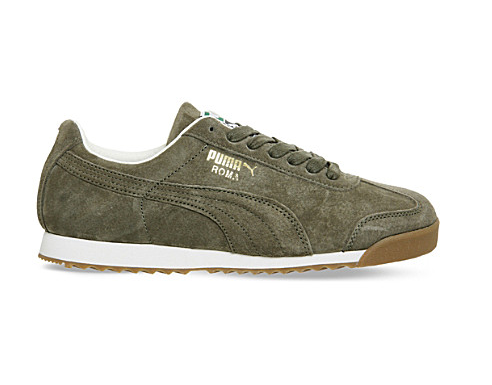 This week I’m loving my Puma Roma suede trainers. With trainers being my footwear of choice on 99% of occasions, I’m constantly on the lookout for the next pair to join my collection. I usually turn to Nike or Adidas for trainer inspo as they never disappoint (I’ve worn my Adidas superstars to death) but I decided to shake things up this time and give Puma a try. I love the burnt olive colour and the suede texture of these shoes because they are totally different to any pair of trainers that I currently own. I have my eye on the slate grey version next! My Friday favourite this week is my latest little black dress from ASOS. Okay, so technically it’s a nightie, but who cares? I’m all over the nightwear trend that’s been seen on the likes of Kendall Jenner and Rita Ora lately. I like the look of a really dainty and elegant slip dress toned down for everyday wear – I’ll wear this with ankle boots and my leather jacket for nights out. My Friday favourite this week has to be H&M’s new range of knitwear – not only is the collection vast, but it’s also varied and really affordable. 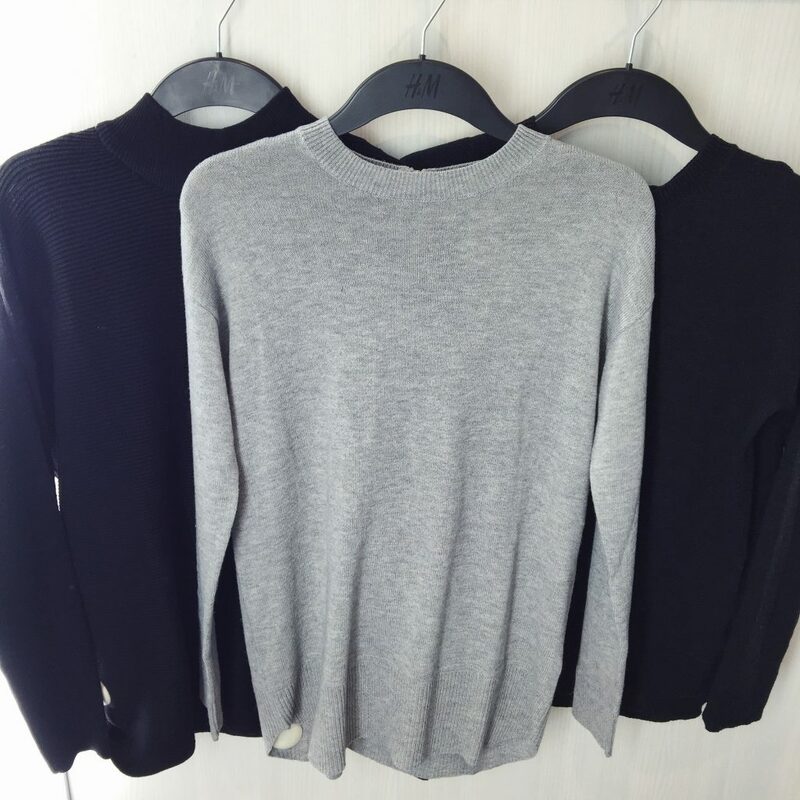 I’m a fan of a basic wardrobe – think simple shapes, no print and everything in varying shades of black, grey and navy – so snapped up the three jumpers in the pic above (exciting, I know), but there’s plenty for everybody, whatever your style. It’s almost enough to get me excited about the cold weather… almost. Silk dresses have been a growing trend for the past few months after they featured heavily on the catwalks, and this week, like Ellen, I finally purchased one, so it just had to be my Friday favourite! The dress I got is a style from Miss Pap called ‘Harley’ and is a design that has been worn by blogger Yasmine Chanel, amongst other influencers. It looks perfect with barely-there sandals for a night out with the girls and I’m sure it’ll become a Saturday night staple! Over the weekend I decided to indulge with a very chocolatey milkshake from a café local to where I live and have wanted to visit for a while, Oatcakes and Milkshakes. Although the set up isn’t exactly 5*, it’s quick, friendly and cheap – and although there was a bit of a queue, it was well worth the wait! The café just sells oatcakes and milkshakes (the clue is in the name! ), so it’s a great breakfast joint. 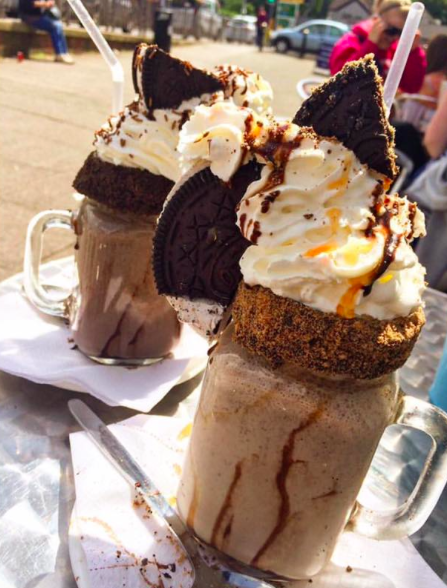 The milkshakes come in all types of flavours and themes and taste amazing… although I did leave feeling a bit sick!